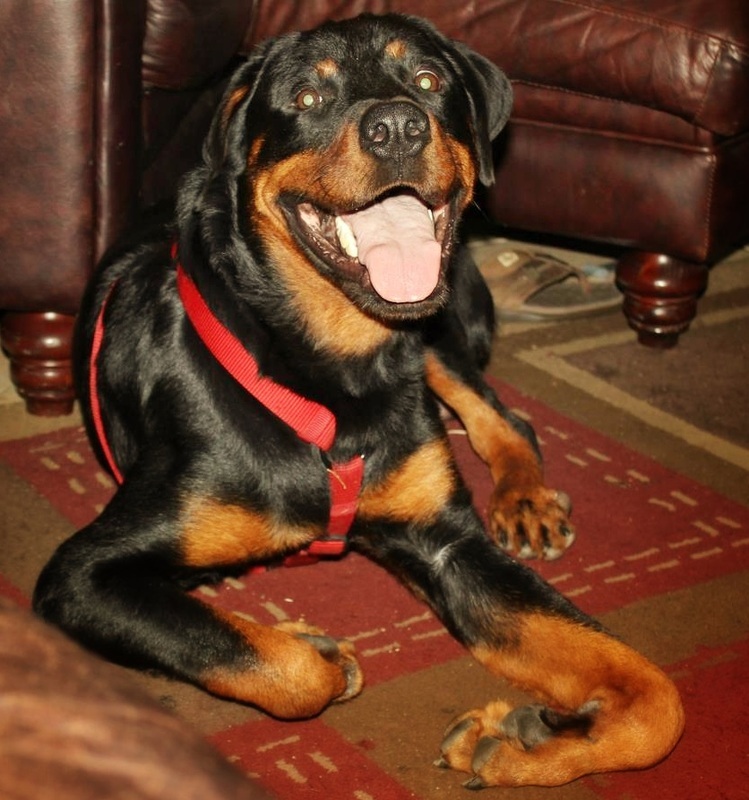 Eli is a young Rottie-boy that came to us from Pennsylvania in late 2012. After neurological testing at the University of Florida College of Veterinary Medicine, it is believed that Eli suffers from one of two possible diagnoses: Neuroaxonal Distrophy or Leukoencephalitis. These diseases are degenerative in nature and occur in young Rottweilers. They do not currently have a cure, therefore the long-term prognosis for Eli is not good. However, today, even after all this time since the diagnosis, Eli still gets around well and is an extremely happy and energetic boy.